How are you celebrating Grandparents Day this Year? How will you be celebrating Grandparents Day this year? It’s officially September 11 this year and it’s the perfect time to participate in some fun activities with the grandparents in your family. 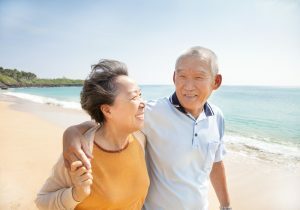 It’s also an opportunity to become involved with grandparents who may not be able to travel or see their own grandchildren and include them in your activities. Some communities will be hosting events and special activities for grandparents, and many care facilities will be doing the same for their residents. A good place to start is the National Grandparents Day website, where you can learn about the woman who started it all, Marian McQuade, in 1978. This website has a wealth of information that can get you started. A great way to strengthen bonds is over food. What were your favorite dishes from your childhood? See if your mom would like to share her recipes with your kids and prepare an “heirloom” meal together. Kids love to find out what their grandparents’ special talents are and try them out too. Was grandpa a baseball player? Was grandma good at juggling? There are so many things kids don’t know about their grandparents and this is a great way to have them enjoy time together. Remember the old days when you were in elementary school and your class created a time capsule with items from current times? You can do the same thing but use favorite memories instead. Fill a container with fun things like baby pictures of both grandparents and grandchildren. Put items that remind everyone of good times over the years, and place it somewhere it can be retrieved later on. Find additional resources that can give you ideas for celebrating Grandparent’s Day this year by just searching “Grandparents Day 2016” online. If you need loving care for a grandparent or parent in your life, contact FirstLight Home Care for more information about our companion and caregiving services.